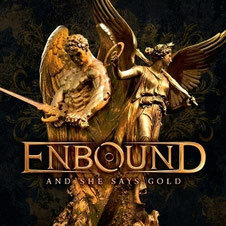 The first album And She Says Gold by Swedish metal band ENBOUND will be released from the Inner Wound Records on April 29, 2011 in Europe. I would say it is a rich-tasting melodic hard rock. ENBOUND was formed in 2006 and thier EP was released in 2008. 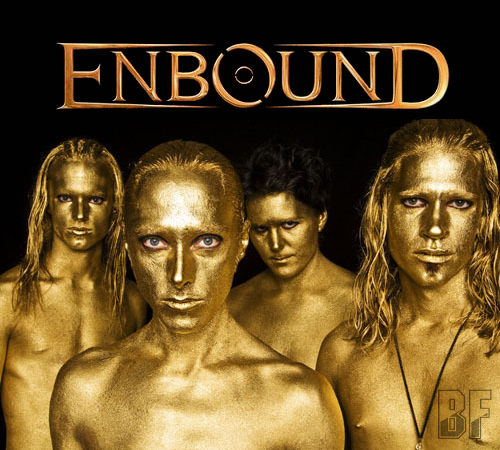 The members in ENBOUND have been changing - Marcus Nygren who was the vocal reminds us Chandler Mogel in the Greek band OUTLOUD left the band and also Jonathan Nyberg - however they made up the great album by rerecording songs from the EP more heavyer. Michael Jackson cover BEAT IT is a bounus track of only the CD in Europe. Look at the above promo photo. They are shining in gold like a statue of the Goddess of Kannon. It took about 30 min. on each member to makeup by German make-up specialist Maja Storbeck. And the photo shooting by German photographer Steff Veenstra. The members are from left Marvin (Guitar), Lee (Vocals), Swede (Bass) and Mike (Drums) on the photo.